#justBecause Howie, Ed, & Bob — No starting. No stopping. Only doing. These three adorable old codgers are veterans, and best friends. 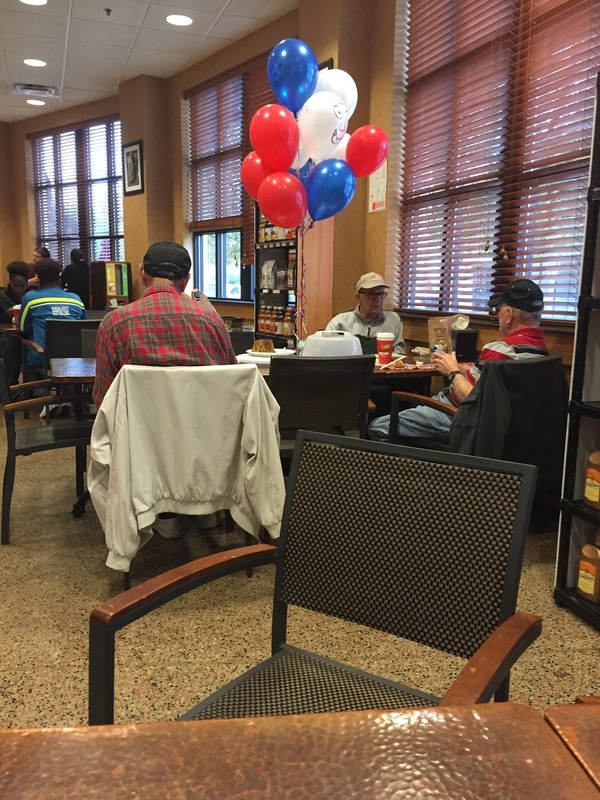 They're having a get together with other vets today. I ran into them while I was getting breakfast this morning. Their laughter, gentle self-mockery, and cheer was infectious.